40"x40" Tapestries from Third Eye newly available and on sale! Ink and colored pencil 11"x17"
After four years of work, it's finally done. 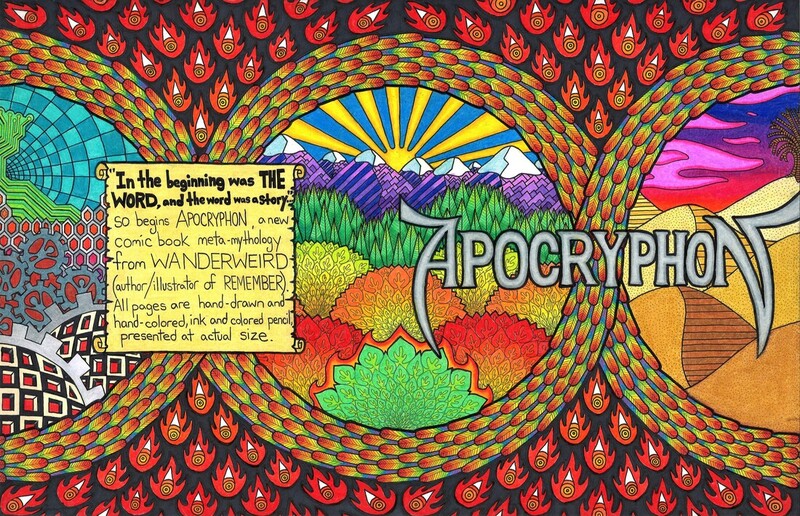 APOCRYPHON, a psy-Gnostic comic book meta-mythology in three parts. This is the wraparound cover for the collected edition, available soon.